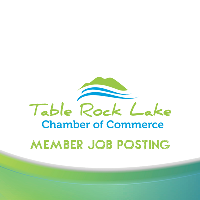 We are currently accepting applications at both locations for part-time tellers. Candidates should be self-starters who can take initiative when responding to customer inquiries, and have a customer-focused attitude. For more information regarding job duties and job requirements stop by either the Branson West or Kimberling City location for an application. Table Rock Community Bank is an equal opportunity employer. Division 7, Inc. is now hiring for construction workers. Prior construction industry experience including commercial roofing, sheet metal, and/or carpentry is preferred; however, we are willing to train those who are motivated and possess other construction related skills. The successful candidate must be willing to travel. Salary commensurate with experience. Resume and references may be submitted to info@div7inc.com. Division 7, Inc. is a drug free workplace and an EOE. We are now hiring!! Full-time position. Customer service, retail experience required. Please apply in person at Table Rock True Value! 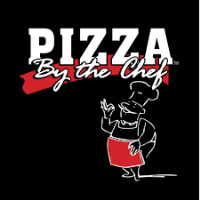 Come work in a fun environment where we serve up delicious food! Looking for a good job? LedgeStone Grille is hiring! 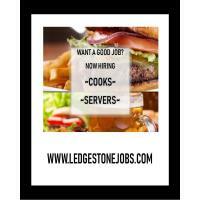 LedgeStone is now hiring cooks and servers. To see all jobs available at the restaurant, the golf course, or the common grounds go to www.ledgestonejobs.com. There are multiple positions opening up in April. Maintenance, Front Desk, and Housekeeping. Click here to apply. Marine Technician Wanted at Hughes Marine! YEAR ROUND OPPORTUNITY! WILL TRAIN THE RIGHT PERSON! Hughes Marine is still in search for additional technicians. Pay is based on experience and we are willing to train the right people. This is a year round position (not season). You can call 417-386-1555 or apply in person on location.